The Golden Age of comic books encompasses publications produced from the late 1930s through the 1950s. It’s a significant time period because it includes World War II and the introduction of Superman. In a time of emboldened enemies and impassioned heroes, comics proved to be a fantastic way to tell stories of battles, defeat, and triumph. Comics were also (and still are) an inexpensive, portable, and easily shared medium, making them a hit with readers. 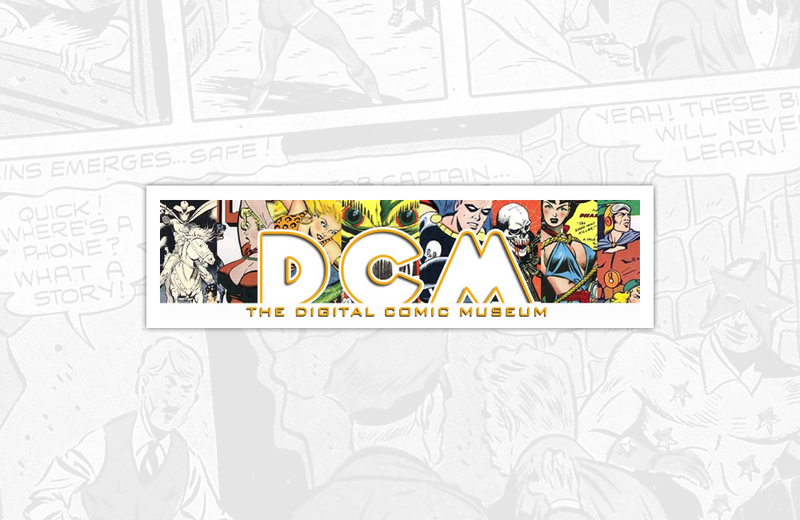 Digital Comic Museum honours the Golden Age with a vast library containing thousands of free digital downloads of comics in the public domain. Titles include Joe Yank, Out of This World, Bride’s Diary, Battle Report, Sparky Watts, and others. Downloads are provided in CBR and CBZ file types. Readers can easily find free software on the internet to download titles of interest.